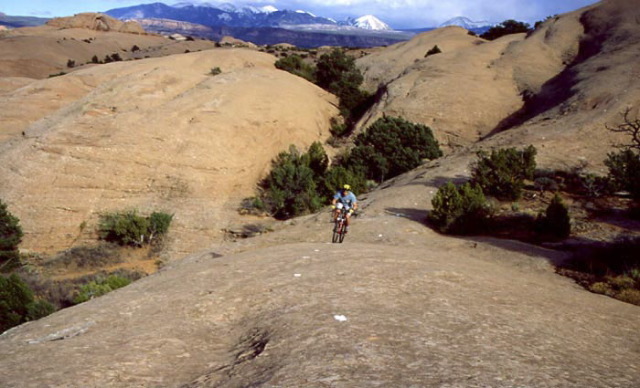 Slickrock Trail - Moab, Utah. Mountain Biking Mecca - Mad traction on the petrified sand dunes - follow the white dotted across the undulating terrain for miles and miles. View east to La Sal mts. in the background.